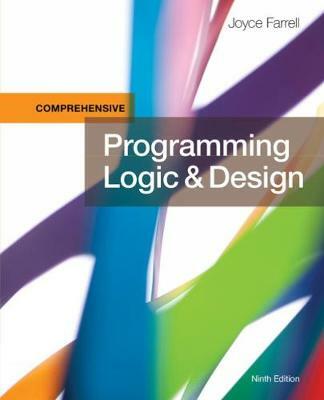 Prepare for programming success as you learn the fundamental principles of developing structured program logic with Farrell's fully revised PROGRAMMING LOGIC AND DESIGN, COMPREHENSIVE, 9E. Ideal for mastering foundational programming, this popular book takes a unique, language-independent approach to programming with a distinctive emphasis on modern conventions. Noted for its clear writing style and complete coverage, the book eliminates highly technical jargon while introducing you to universal programming concepts and encouraging a strong programming style and logical thinking. Frequent side notes and Quick Reference boxes provide concise explanations of important programming concepts. Each chapter also contains learning objectives, a concise summary, and a helpful list of key terms. End-of-chapter material ensures your comprehension with multiple-choice review, programming and debugging exercises, and a maintenance exercise that encourages you to improve working logic.